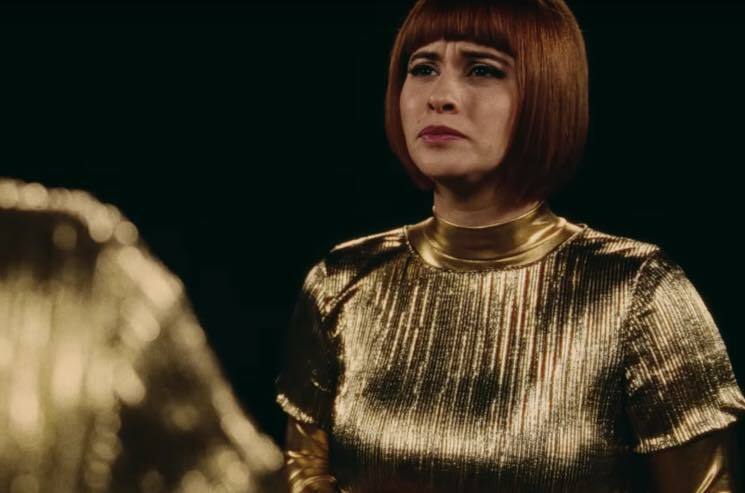 Brooklyn-based indie popsters Lucius released their latest LP Good Grief earlier this year, and now the group have offered up some visual accompaniment to "Gone Insane" from that same album. The clip was directed by Nathan Johnson and features co-frontwomen Jess Wolfe and Holly Laessig, facing each other as they manipulate prosthetic organs — including a beating heart and disturbingly malleable skin. The whole thing is captured in 3,107 photographs, which are then pieced together in stop-motion. The video was inspired by a dream of Wolfe's, in which Laessig was sitting across from her, shaping her face as if it were made of clay. It spawned thoughts about "perception and illusion and perspective," and you can see those ideas come to life in the "Gone Insane" clip below. Good Grief is out now on Dine Alone.